Made for the elite golfer, the Wilson Staff FG Tour men’s golf glove is manufactured from premium grade Abyssinian cabretta leather to provide an exceptionally soft feel and a very consistent fit. 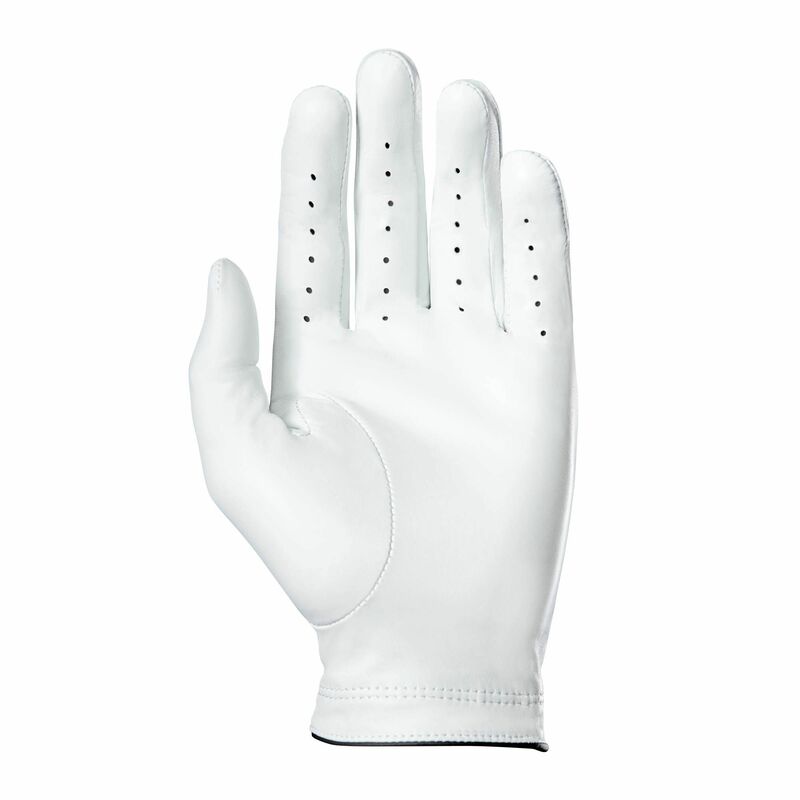 It offers a knuckles cool mesh insert for great moisture management and has a reversed thumb seam to smoothen feel between your palm and thumb. The use of Tack Teck tanning process results in improved grip control, whereas increased durability is ensured by 3M Scotchguard leather protection. This left hand glove is designed for right handed golfers and has been cut and sewn to tour players specifications. For easy removal and a better fit, there is an ergonomic closure tab with Ultra-mate Velcro, while pre-curved fingers prevent wrinkling. 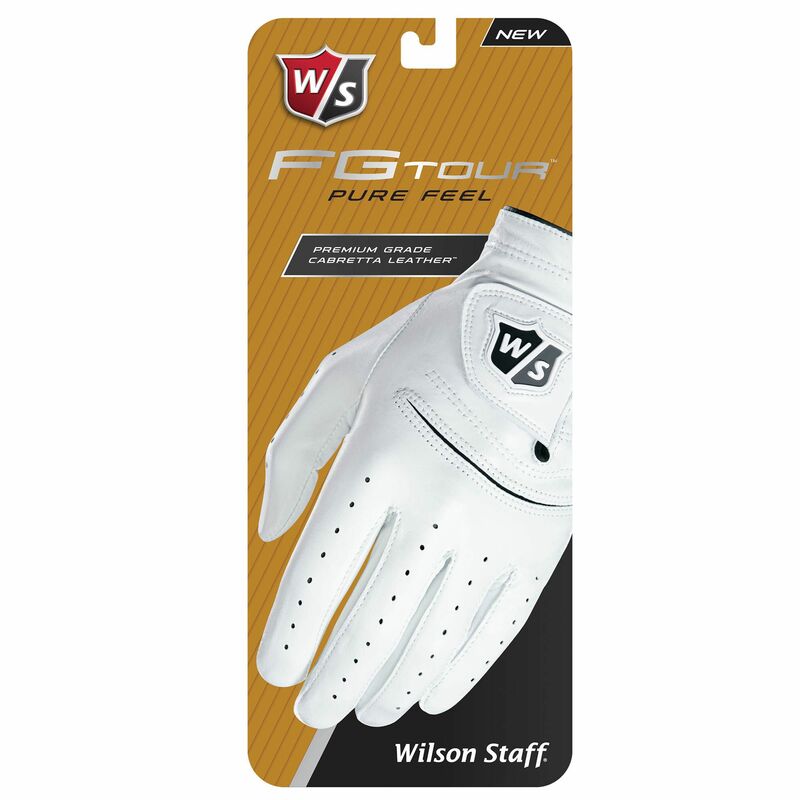 for submitting product information about Wilson Staff FG Tour Mens Golf Glove We aim to answer all questions within 2-3 days. 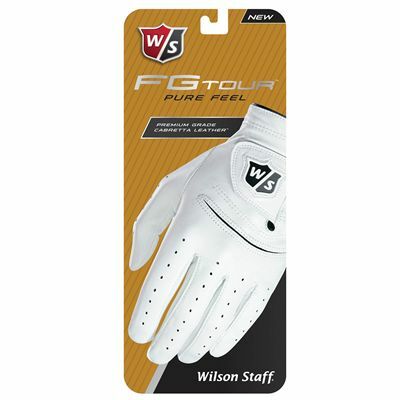 for submitting product information about Wilson Staff FG Tour Mens Golf Glove. We aim to answer all questions within 2-3 days. If you provided your name and email address, we will email you as soon as the answer is published. 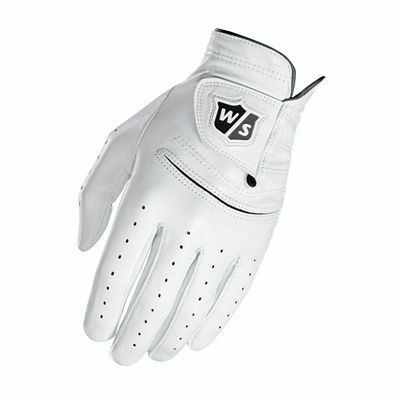 for submitting product review about Wilson Staff FG Tour Mens Golf Glove.